So PC sales continue to fall off a cliff. According to figures released earlier this month by Gartner, worldwide shipments fell by 8.3%in the third quarter of 2012 compared to the same quarter last year. In the US, the picture is even more gloomy, with shipments down 13.8%. much of the decline is in the consumer market, according to the firm. ‘A continuing slowdown in consumer PC shipments played a big in the overall PC market decline,’ said Mikako Kitagawa, principal analyst at Gartner. The one mitigating factor in the sharp decline is that Windows 8 is looming on the horizon. ‘The third quarter was also a transitional quarter before Microsoft’s Windows 8 operating system release, so shipments were less vigorous as vendors and their channel partners liquidated inventory,’ reckoned Kitagawa. 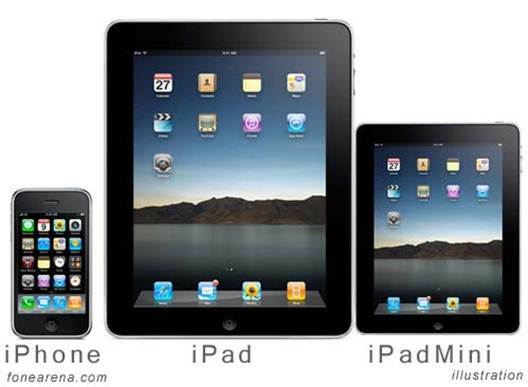 Will the iPad mini change the shape of the market again? That would explain some of the slowdown, as consumers wait until the new Microsoft OS is released before buying their next PC, thus avoiding the hassle of upgrading to it but it masks a deeper problem. Consumer PC sales, both desktop and laptop, are in permanent decline. Even Apple, which has so far bucked the trend, saw sales in the US drop by 6.1% in that quarter. That smaller than average fall, however, was enough to push its US market share up from 12.5% to 13.5%. In Apple’s case, there were different mitigating factors. Although it launched a new MacBook Pro and MacBook Air range during the quarter, there was no new iMac and no new Mac mini. In Q3 2011, the MacBook Pro was less than six months old, and there were new Airs, iMacs, and Mac minis. This time around, there were new Airs and Pros, but the iMac and mini were a year old. With updated iMacs and Mac minis, it’s quite possible that Mac sales would have shown positive growth for the quarter as they have consistently worldwide in recent years, while the market as a whole stagnated or fell. The common perception is that tablets are replacing laptops in consumers’ shopping baskets. Yet in reality only one tablet, the iPad, is selling in significant numbers. So if the iPad is cannibalising consumer PC sales, why isn’t it eating into sales of the Mac? Perhaps there’s a ‘halo effect’ from the iPad and iPhone which is sheltering Apple from the storm affecting the rest of the industry: come for the mobile devices, stay for the Macs. Or perhaps it’s simply that Apple, unlike its competitors, is making computers that consumers actually want to buy. David Daoud, research director for personal computing at IDC, also cited the economy as a factor in declining sales, as well as the upcoming US presidential election. ‘Nevertheless, as vendors line up innovative new products and designs, consumers are likely to respond positively during the tail end of 4Q12, and that means a potential return to positive growth at the end of this year,’ said Daoud. OF COURSE, IF the economic environment was the main cause of the sales decline, we wouldn’t have seen the iPad take off so successfully in the same market. That leaves the ‘lack of innovation’ argument. And it’s not hard to find evidence to back it up. Take HP’s Spectre One, for example. The aluminium cased machine was derided (not least by us) for being little more than a copy of the iMac with hints of MacBook Pro when it was launched in September, even coming with a tile-style wireless keyboard strongly reminiscent of a certain other. Perhaps Apple really is the only company innovating in the consumer PC market. 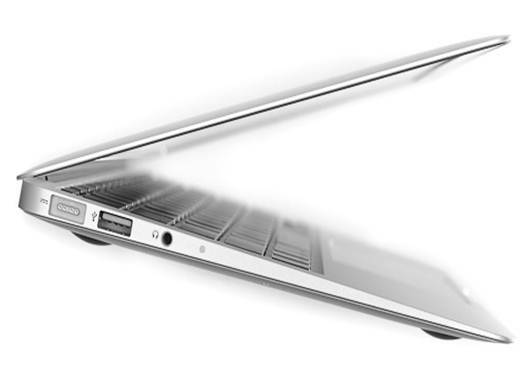 The biggest hope for hardware innovation in the PC market is surely Intel’s Ultrabook concept. Yet even that is a blatant attempt to capitalize on the popularity of Apple’s MacBook Air. The Ultrabook, which Intel defines as a machine that’s no more than 18mm thick (or 21mm if it has a 14in or larger screen), has USB 3 or Thunderbolt ports and is, um, ‘responsive’, was supposed to re-ignite consumer interest in laptop PCs. But manufacturers have struggled to meet the specification and keep the price to Intel’s $1100 (£682) notional maximum. Of the top five vendors in the US, Lenovo was the only one to show a growth in sales in Q3. It managed this, according to Gartner, by cutting prices and focusing on enterprise. But that focus may not help it for long. ‘Professional PC shipments in the US began slowing in the second quarter of this year, and they continued the trend in the third quarter. The results indicate that the replacement peak may have passed in the professional sector’, said Gartner’s Kitagawa. And to complete the hat-trick, education sales are struggling too. ‘The third quarter has historically been driven by back to school sales, but US PC shipments did not increase, not even sequentially, from the second quarter of 2012. Channels were conservative in placing orders,’ wrote Kitagawa. Windows 8, with its touchscreen interface and specially designed apps, could give PC manufacturers a boost. But even that comes with a warning. If makers are losing out to the iPad now, how will they fare when consumers can replace their notebook with a Microsoft Surface tablet running Windows 8? Will Windows 8 tablets kill the laptop market? That’s an optimistic outlook. In particular, the idea that tablets will increase sales of desktop PCs seems fanciful. Yes, a significant number of professionals need a large screen, but that’s more likely to be connected to a laptop than a desktop. The underlying point in Forrester’s assertion seems to be a suspicion that tablets aren’t capable of doing ‘real’ work. For many tasks that’s true; for many others, it’s not. There are countless examples of tablets replacing laptops for ‘real’ work, which is sometimes easier on a tablet than a PC, a point not lost on Intel CTO Justin Rattner. ‘You begin to see people segregating their workloads. Things like mail and messaging seem to be much easier on phones and tablets, and not so easy on Pcs,’ he told Computer-world. So what can PC manufacturers do to compete? ‘I think it’s incumbent on Intel and the PC industry in general to deliver a competitive platform capability. If you can’t deliver a comparable or better experience on a PC, the PC isn’t going to win,’ said Rattner. That’s a huge challenge, but one which Pc manufacturers must meet if they’re to prosper – especially with Apple about to hit them with yet another tablet rival at a price to turn the heads of even more users.